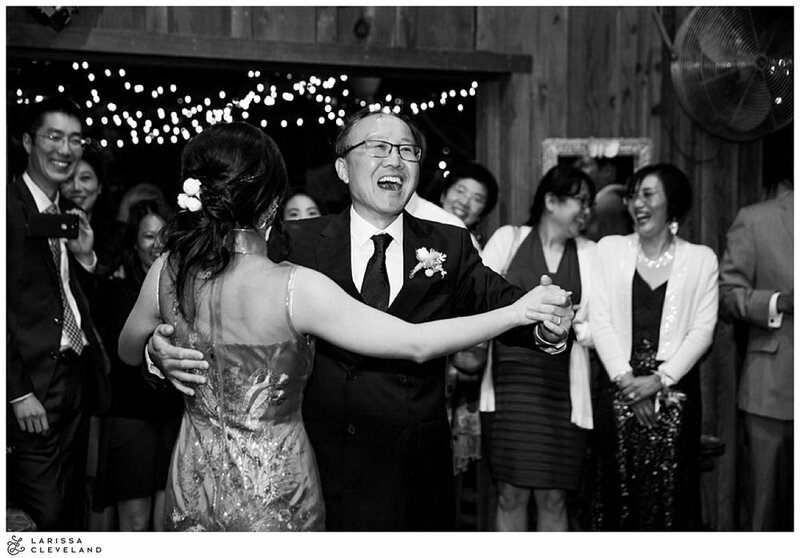 We're thrilled to see the wedding of our bride Natalie to Brian featured on Borrowed and Blue. 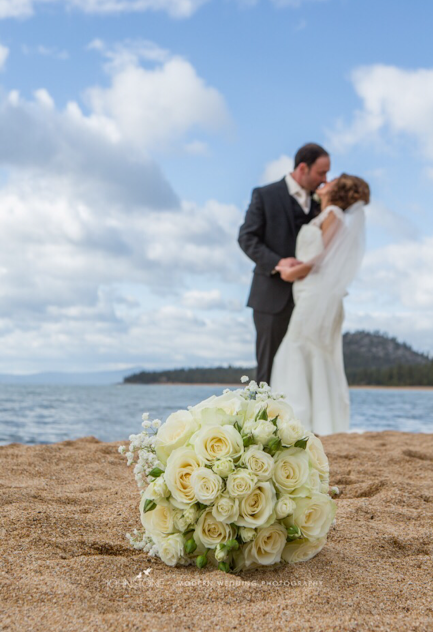 The couple chose to marry in South Lake Tahoe where Brian had proposed with a beautiful rose gold ring two years ago. 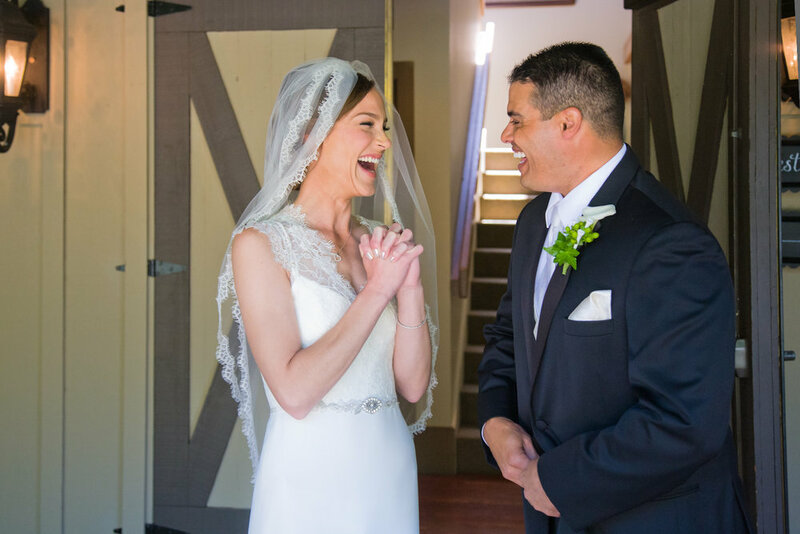 Although their wedding date was set in the spring, the couple envisioned a winter wonderland wedding, and mother nature kindly granted their wish. 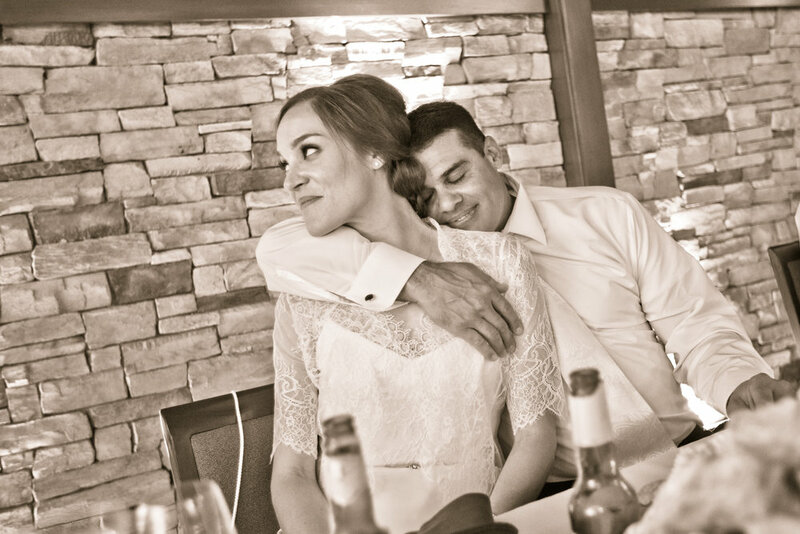 As Natalie recalls, "It snowed the night before Brian proposed to me, and it ended up snowing the night before our wedding at our dinner rehearsal, which made everything more magical than you can imagine." 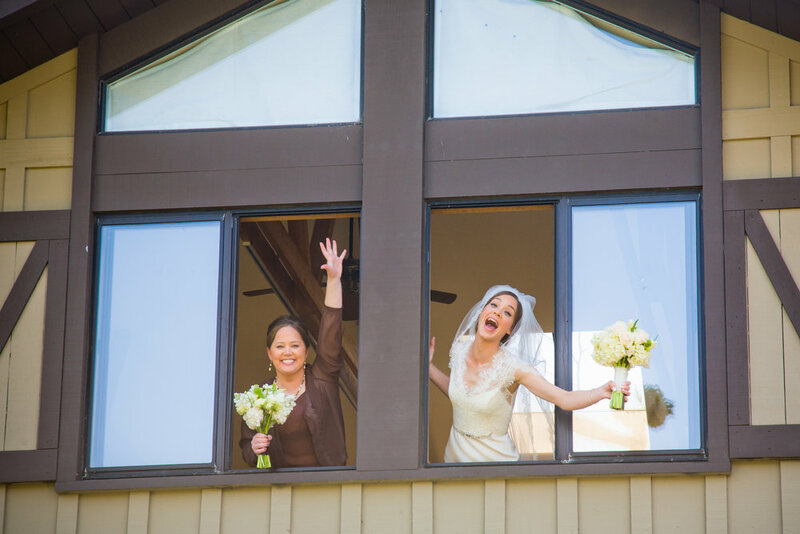 When it came time to choosing a venue, they circled back to the Landing Resort in South Lake Tahoe, where they stayed on their first trip together. 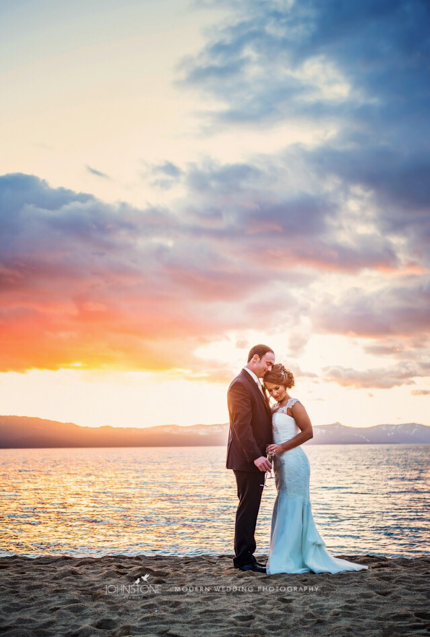 With spectacular lake views as a backdrop, they said their "I Do's" against a picture-perfect sunset that emerged during the ceremony. 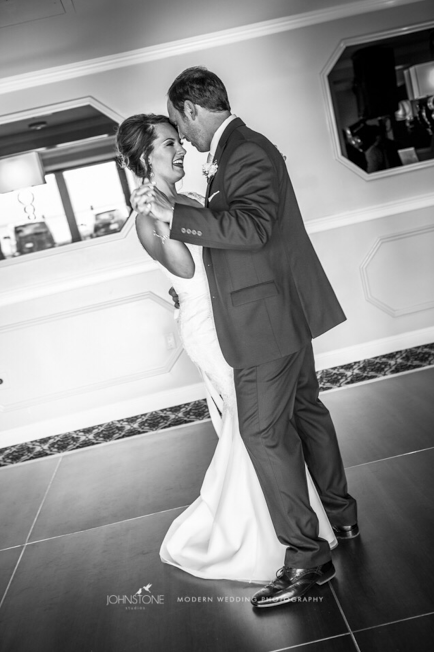 Natalie chose to wear a custom version of our Reagan gown, a sweetheart lace trumpet wedding gown with custom lace straps. 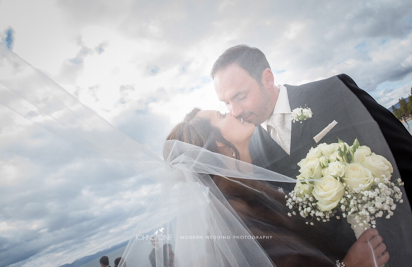 Natalie looked ravishing as she joined Brian at the lakefront altar, and the photos below captured the spectacular scene. 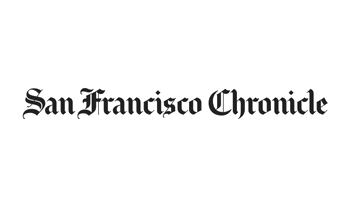 Sweethearts since their undergraduate days at UC Berkeley and throughout business school at the University of Chicago, Joanne and James married in a lively ceremony at The Holly Farm in Carmel, CA. 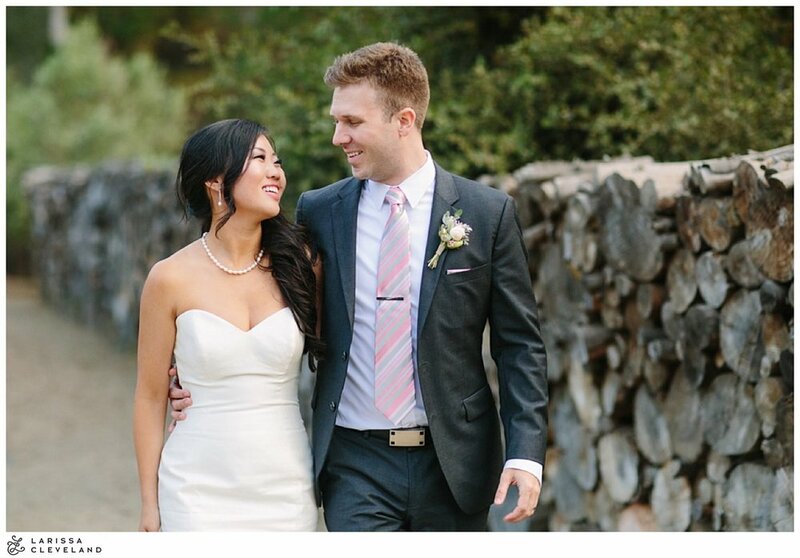 Joanne wore the Angelina, a strapless sweetheart silk trumpet wedding gown. At their wedding, the former dean of the business school shared these words about the couple, "They playfully challenge each other not just in games but push each other to become better - better students, better in their careers, better sons and daughters, and better partners for each other.” Seeing the bride and groom celebrate with their friends and family, we’d have couldn't agree more. Congratulations Joanne and James! 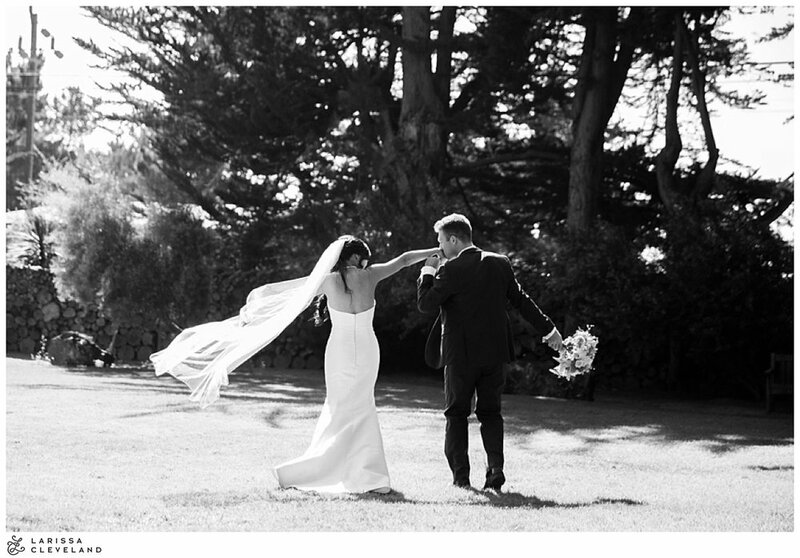 We're thrilled to see the pictures of Casey and Chris' wedding in Carmel, California. 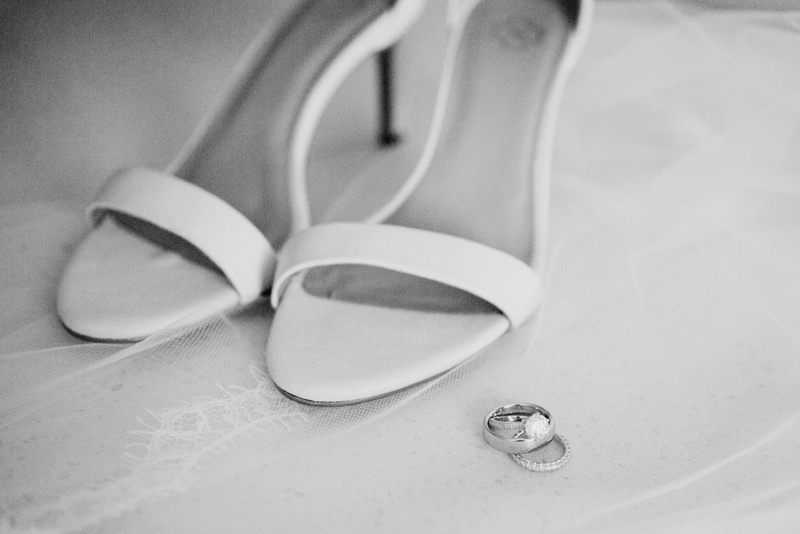 The Quail Lodge & Golf Club provided the elegant and spacious ranch-style backdrop to their big day. For her wedding dress, Casey chose a custom creation combining two of our bridal gowns: the illusion back and cap sleeves of The Lady with the graceful silk crepe skirt of Nora. She accessorized her wedding dress with our Blushing Romance Lace Veil and the Chloe lace bridal jacket for the reception. In her own words, "I wanted a dress in which I could have fun all day," and from the big smiles throughout the photos, it looks like she did just that. Thank you to Larry Nordwick from Creative Images for capturing the day, and a big congratulations to Casey and Christopher! 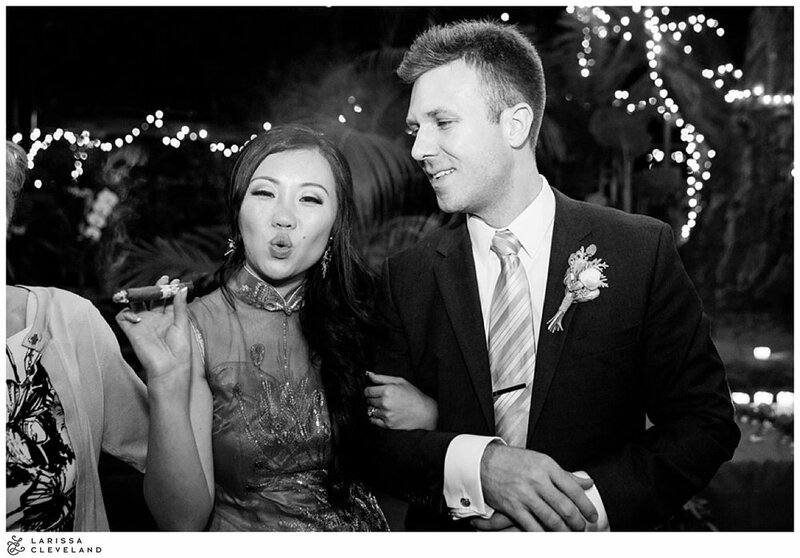 Katrina wed Micky in this surreal winery wedding. From the chandelier drop earrings to the pink peonies, every detail was executed to perfection. 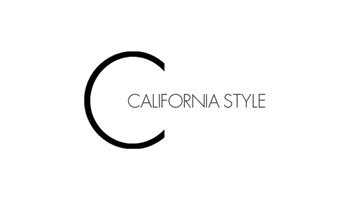 College sweethearts that stood the test of time, distance, and demanding schedules, Katrina and Micky made it happen right here in the Bay Area at Murrieta's Well, an unforgettable winery with rustic wood beams, glowing lights, and a fragrant wine cellar reception setting. Katrina wore the Marie wedding dress. In the bride's own words, "I ended up choosing the Marie gown - a fitted lace wedding gown with cap sleeves. I was initially anti-lace for a wedding gown, but this American-made lace was so beautiful that I simply couldn't resist. 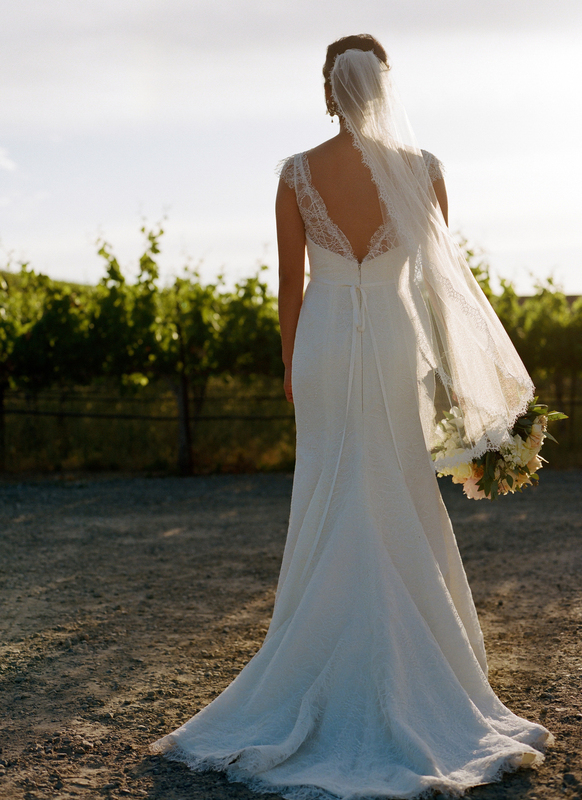 It was subtle, intricate, and perfect at my vineyard wedding." 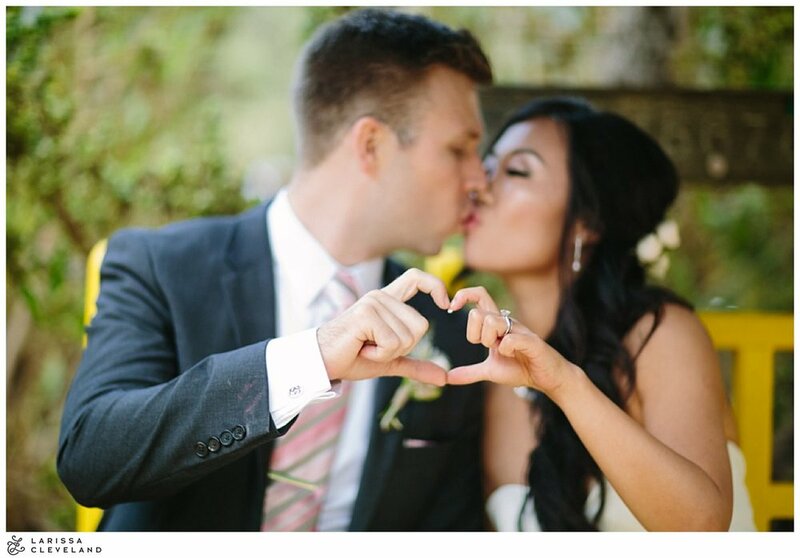 Here at Trish Lee Bridal, we're thoroughly enchanted by Katrina's tasteful winery wedding. Congratulations, Katrina and Micky!